Keep on top of all staff qualifications. Need to make sure that your staff are working to the very best of their abilities? i-tus can help with that. 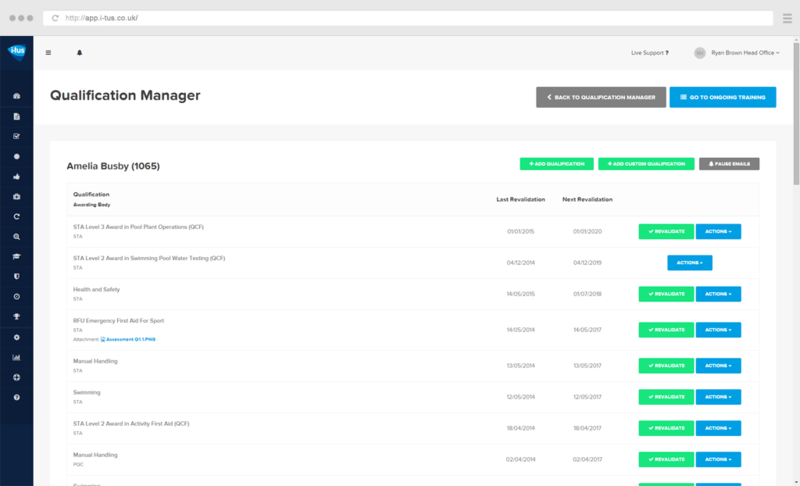 Our Qualification Manager tool allows you to keep a record of all qualifications done and to be done by your staff, accessible from your dashboard. With alerts for upcoming awards to be completed, you can be sure that your team feel confident they’re working at the top of their game.